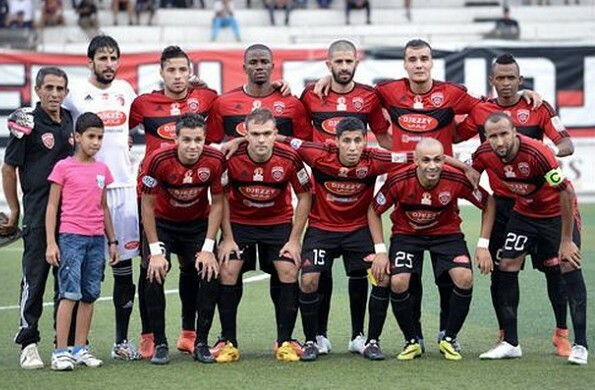 USM Alger could claim the Algerian League, Algerian Ligue Professionnelle 1, title on Friday evening, with victory over rivals MC Alger. The six time champions lost the league title to 2014 CAF Champions League champions ES Setif last season, but could reclaim the crown with three points in Algiers. USM Alger have stuttered in recent weeks, suffering successive defeats to RC Relizane (3-0) and JS Saoura (1-2), but still hold a 12 point gap atop the league standings. The Reds and Blacks assembled a 17 game unbeaten run, before defeat to FC Oran in February, to run away with the league title. Three successive wins took USM to the cusp of league glory, but two defeats in two games postponed what seems the inevitable. Victory for Miloud Hamdi's men on Friday will take them up to 54 points with four games remaining: meaning - if MO Béjaïa drop points on Saturday - USM will be crowned league champions for a seventh time.